I went to Cost Plus the other day and decided to take pictures of stuff I liked. I like anything owl related so this is the first thing I photographed. It's $24. These side tables are meant to be outdoor tables, but I think they would be great as an indoor table. They are only $23! The larger coffee table size table, in blue, is a tiny bit more expensive at $47. 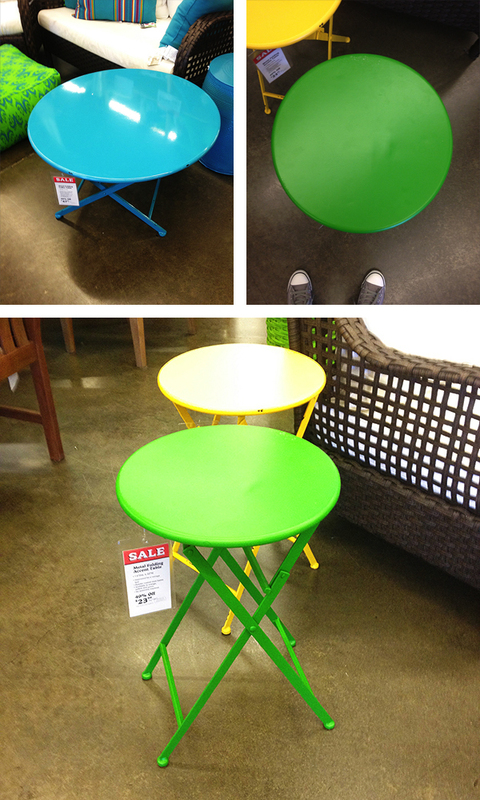 If I didn't have my colorful CB2 tables (see them in this post) I would have bought these a long time ago. I love the industrial look combined with the bright color! I might still get one as a night stand for the extra bedroom. I'm sure a lot of people have seen these but every time I'm here, I'm drawn to these. 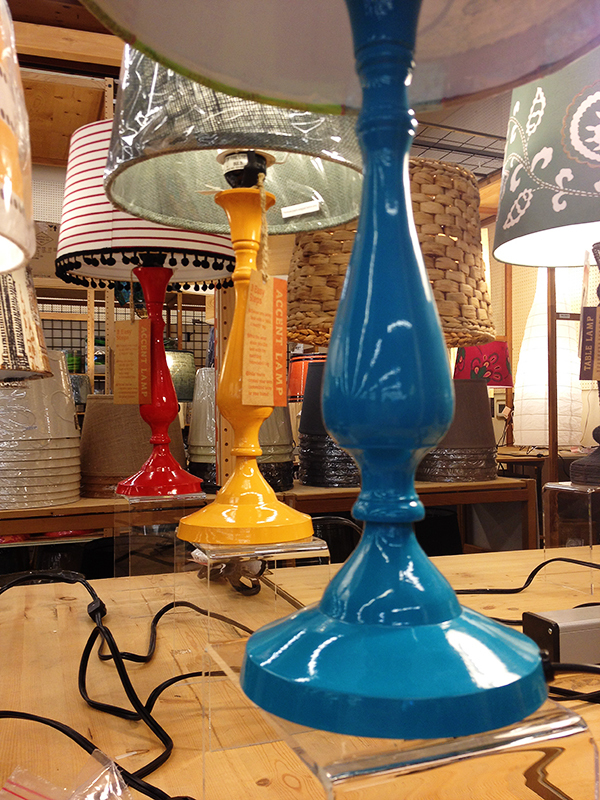 I love the bright colors and all the lamps shade options. The moment I need a table lamp, I'm heading straight to Cost Plus. I really want one of these giraffes to decorate the front of the fireplace, but they look too delicate to have around cats. This one is already broken. He's missing a horn. 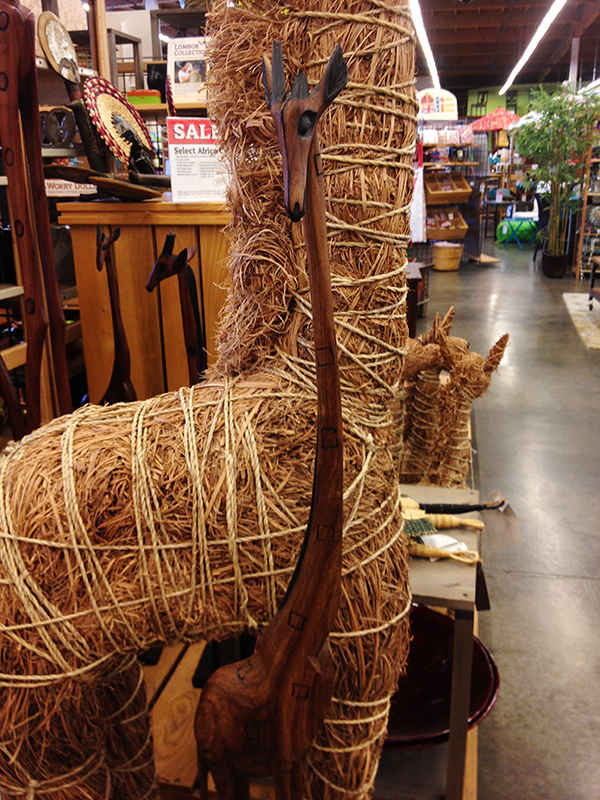 This giraffe is $100. 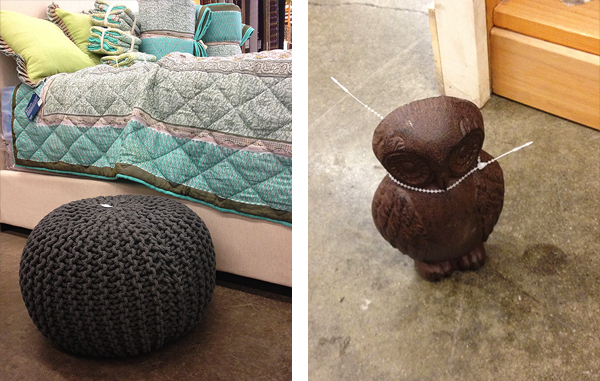 These poufs always catch my eye, but I still haven't bought one. They aren't the color I'm looking for. There is one at Target that I have my eye on, I might have an update on that soon. The pouf is $70. I actually own the owl on the right and I've been thinking about spray painting him. I've never really liked this cast iron look, plus I don't think you can really see the details when he's such a dark color. 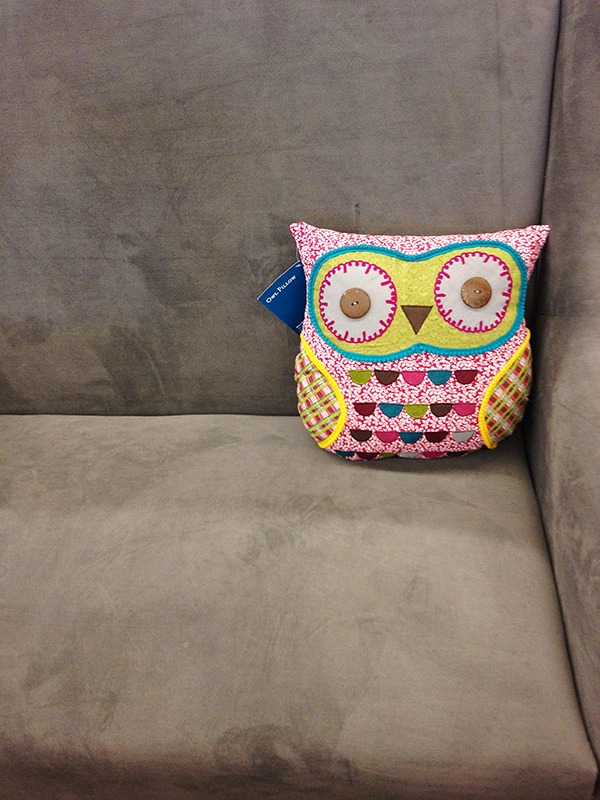 The door stop owl is $10.